The world itself is a big, wonderful place. There are so many places on the planet that steals your breaths, makes you relaxed or put you in awe. Every part of the world gives you something unique, either it is seaside, the breathtaking plant shields, or the mountains full of true beauty. Here we have the 10 amazing places to visit to keep on your bucket list before you die. Trolltunga was formed 10,000 years back. It is a popular destination for brave hikers. It is 1,100 meters above sea level and hovers 700 meters over Ringedalsvatnet Lake. Surprisingly enough, there’s no railing to detract from its natural beauty. So far, there have been no hiking accidents. It is a saline lake in Western Australia which spans 600 meters long and 250 meters wide. The color of the water is permanent. It does not change even when taken from the lake itself. The reason for the Pink Hue has not been revealed but it is guessed that it is due to ALGAE. The Ice Caves lies under the 12-mile long Mendenhall Glacier located near Juneau. It is believed, they are only accessible to those willing to Kayak and then Ice Climb over the glacier. Sadly, this wonder is vanishing cause of Global Warming. One cave has already collapsed. 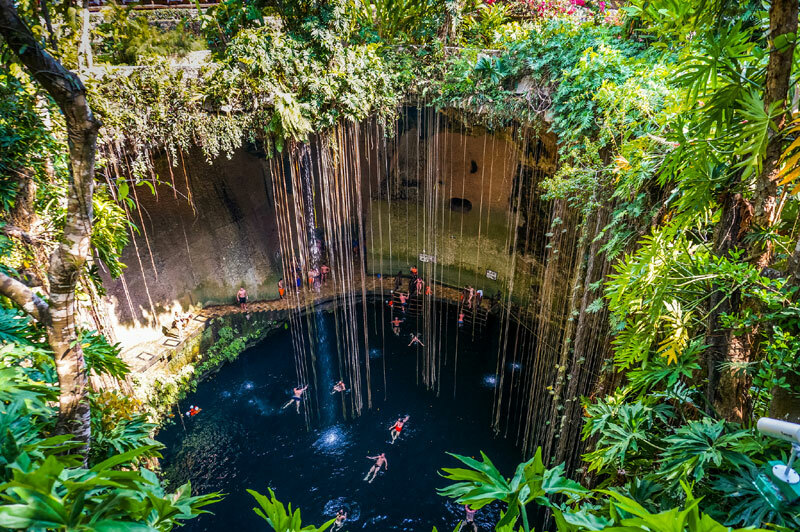 The Yucatan Peninsula is home to seven thousand cenotes or natural sinkholes due to a collapse of limestone. They are a surface network of underground bodies of water which that are suitable locations for scuba diving. Besides, the water in cenotes is very clear.In fact, It is often free of particulate, making perfect visibility. 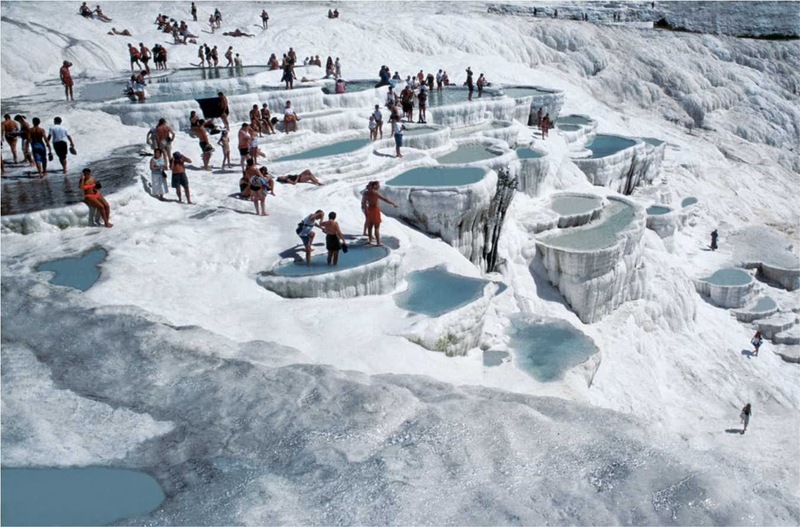 It is a naturally occurring site in Turkey made up of hot springs and travertine. There are seventeen hot springs along with a temperature ranging from 35 to 100°C. Pamukkale has a booming tourism industry because people take bath in the hot springs for thousands of years. Fly Geyser was by chance created when drilling wells in search of geothermal heating in 1964. Minerals started developing from the hole which created the amazing mound of travertine. It lies on the private property of fly ranch with the only connection being a private dirt road. This great blue hole is 300 meters across and 124 meters deep situated near lighthouse reef. It was made prevalent by Jacques Cousteau in the 1970s when he declared it one of the top scuba diving sites. Beyond that, it is a popular site for scuba divers who want to explore its depths and locate certain fish species. 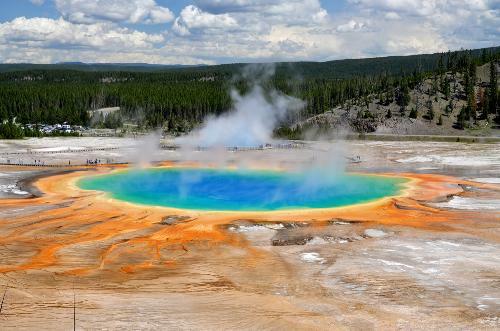 It is the largest hot spring in the United States and 3rd largest in the world. The unique coloring evolves from the pigmented bacteria which grow around the edges of the spring. The spring is 200 feet by 300 feet and carries out about 560 gallons of water in a minute. Roraima is the plateau that lies at an elevation of 2,810 meters with 85 % of it located in Venezuela. The first ascent of Roraima was in 1884 and it has 400 meters cliffs on every side. The surface is entirely made of sandstone. It rains nearly every day. The largest salt flat in the world is 10.583 square kilometers in size. It has scarcely any wildlife or vegetarian with the exception of Giant cacti and Flamingos. 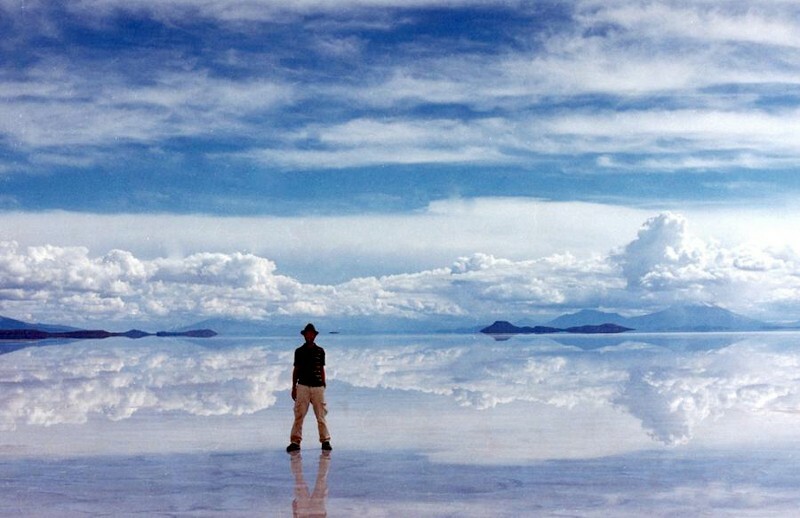 Salar Di Uyuni consists 50 to 70% of the world’s lithium reserves.